What are the most common drug addictions? Although more people have an addiction to alcohol than to any other substance, when it comes to drugs you might be surprised which are most commonly abused. While you may associate drug addicts with cocaine and heroin users, far more people in the United States are dependent on marijuana than the two illicit substances combined. What are the facts about alcohol abuse? Alcohol misuse is a significant problem in the United States, with the National Institute on Alcohol Abuse and Alcoholism reporting that almost 25% of adults report binge drinking in the previous month and around 7% drink enough for their alcohol use to be classed as heavy. What are the different types of drugs that are addictive? A wide range of drugs are potentially addictive. While not everyone who takes these addictive substances becomes psychologically dependent on them, owing to the numerous factors that influence susceptibility to addiction, anyone who uses them in the longer term is potentially at risk. Various factors contribute to substance misuse. Certainly in young people, family influences and factors that affect teens mentally and emotionally have an important impact. Length of stay in treatment varies from client to client based on a person’s specific circumstances, progress during treatment, and clinical recommendations. Typically, taking drugs just the once can have a negative impact on your body and mind, though the health risks increase with repeated drug use, and CDC figures show that more than 100 Americans die daily from drug overdoses. 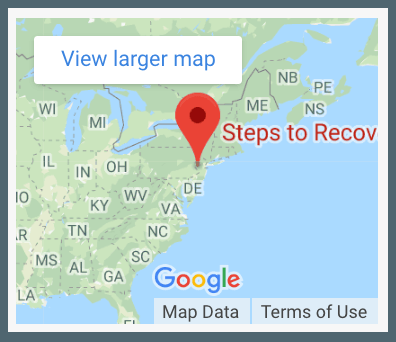 Do you or your loved one need the help of Steps to Recovery? Reach out to our staff today by calling 866-488-8684. Find out how our services and programs can help you or your loved one reach lasting recovery.